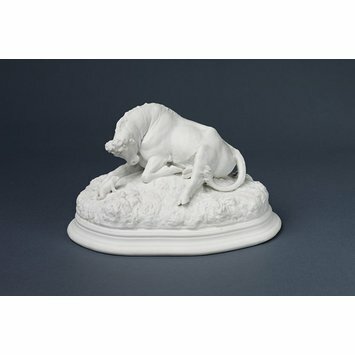 Biscuit porcelain figure group; ox lying on ground looking down at frog directly in front. Integral raised base. 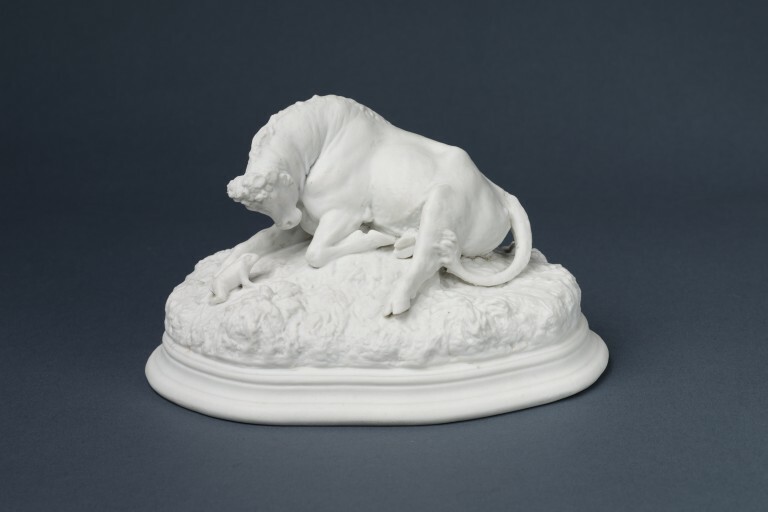 Biscuit porcelain figure group illustrating the fable of the frog and the ox, Haffreingue porcelain factory, Boulogne, 1857-1859. Edouard and Firmin Haffreingue's factory; presumably modelled by Paul Coloméra, named by Tardy as the factory modeller.